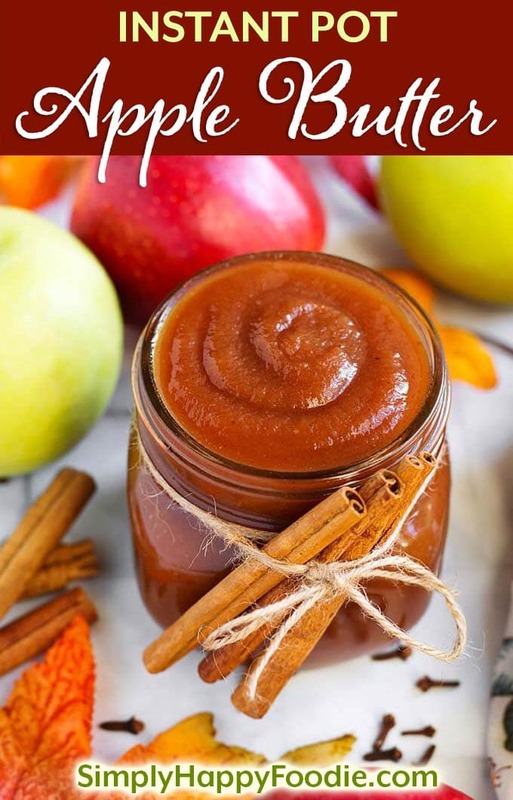 Instant Pot Apple Butter is absolutely divine! This recipe is everything good about Fall, in one sweetly spiced condiment! 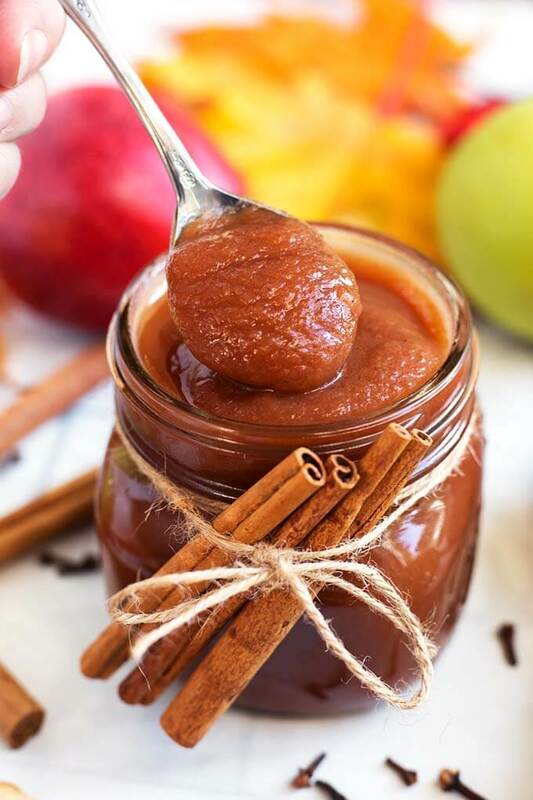 Pressure Cooker Apple Butter is easy to make in your Instant Pot, and the results are a smooth, velvety, sweet spread that is delicious on toast, muffins, pancakes, yogurt, ice cream, and by the spoonful! 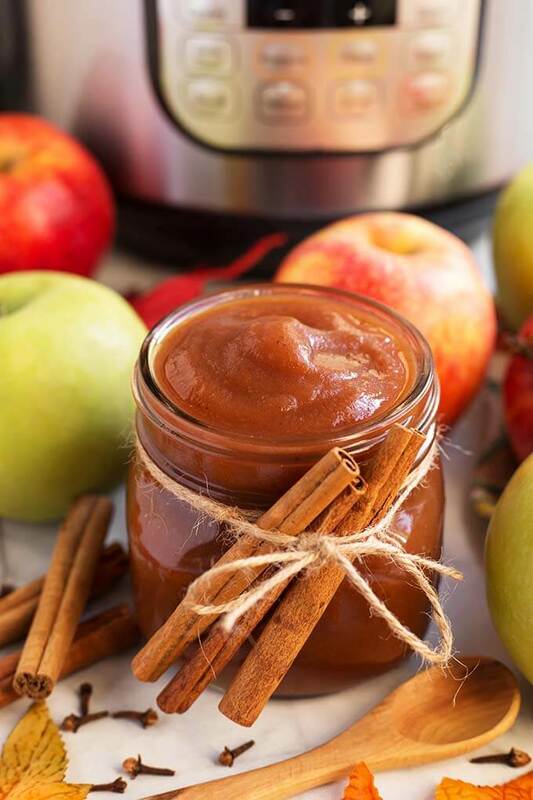 If you love apples and applesauce, you will really love this Instant Pot Apple Butter recipe! It is thick, creamy, and flavored with yummy Autumn spices, and sweetened to perfection! Paul likes it on ice cream, and I like it on toast, yogurt, pancakes, and just about anything! Apple butter is a very concentrated version of apple sauce that has been cooked on low heat for several hours, and in some cases, overnight. The sugar in the apples caramelizes, turning the apple butter a lovely dark brown color. There is no butter in apple butter, that’s just what it is called, probably due to the thickened result from being cooked down. Apple butter is thick and spreadable. 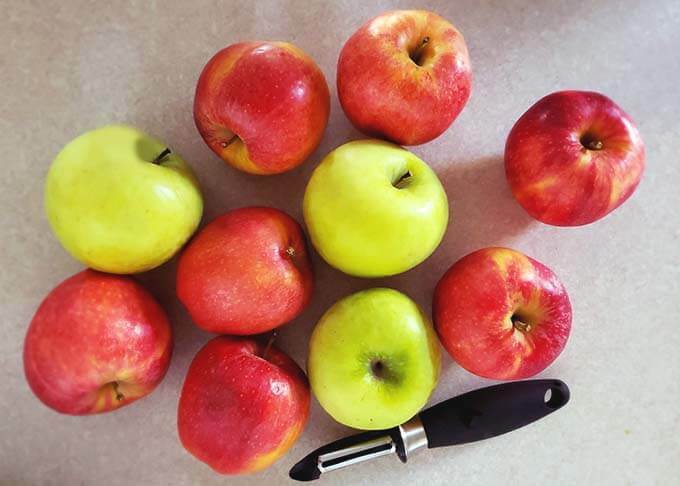 The best apples to make Instant Pot Apple Butter with are tart to mildly sweet apples. My favorite is a mix of Granny Smith and Gala, Fuji Jonagold, or some combination of 2 or 3 varieties. There are so many apple varieties, the possibilities are endless! This is not a fast recipe. To become apple butter, the apples need to cook low and slow for hours to reach the desired level of caramelization and thickness. So worth it! Pressure cooking first does speed up the process though, and finishing it off in Slow Cook mode works great! 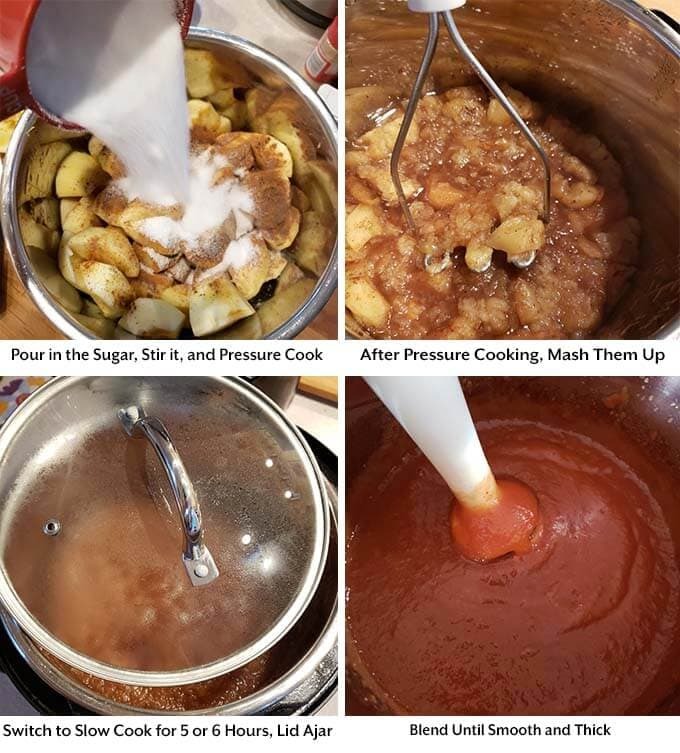 Before making this apple butter in your pressure cooker, I highly recommend having a new silicone sealing ring or one dedicated to sweet or neutral foods like oatmeal and rice. Silicone holds on to strong odors from spicy foods, and strong smelling foods and meats. I once made a batch of applesauce that had the lovely flavor accent of a pot roast. YUK! I tested this recipe using the Instant Pot’s Sauté setting (Less and Normal heat), and I don’t recommend it as it pops and splatters a lot. Since you keep this uncovered, you would need something to keep the hot apple butter from getting all over the counter. Or your hand. Also, you’d need to watch it carefully and stir it more often so it doesn’t burn. Since I also make Slow Cooker Apple Butter, I tried the Slow Cook setting on the Normal heat. It would not get hot enough to really do anything except keep the apple butter warm. So I tried it on the More setting and that did the trick. 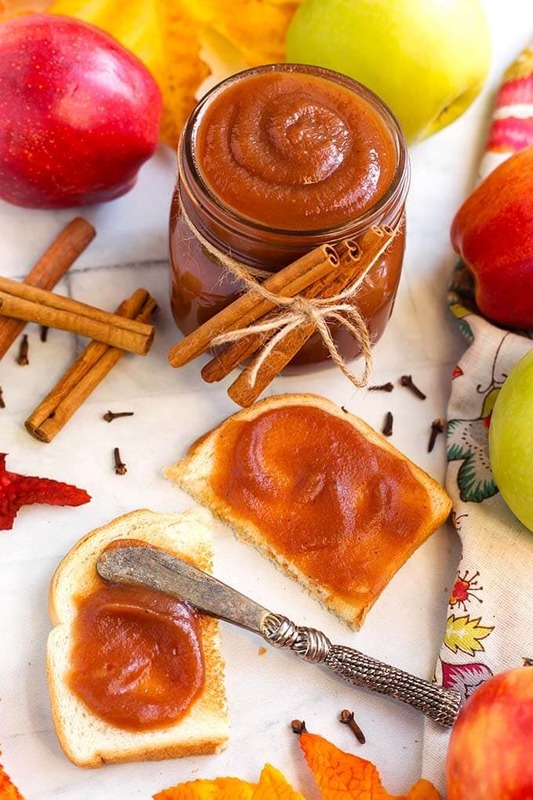 You can use your apple butter as an ingredient to make other tasty treats. Cakes, pies, muffins, cookies, smoothies, marinades, and pork recipes, just to name a few. You might be surprised at how versatile this amazingly flavorful condiment is! 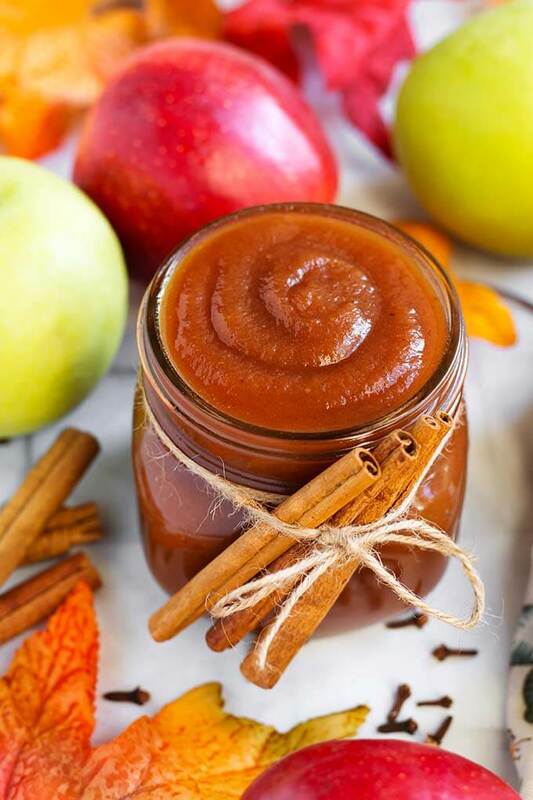 Instant Pot Apple Butter is absolutely divine! This recipe is everything good about Fall, in one sweetly spiced condiment! 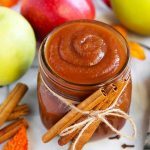 Pressure Cooker Apple Butter is easy to make in your Instant Pot, and the results are a smooth, velvety spread that is delicious on toast, muffins, pancakes, and by the spoonful! Add all of the ingredients to the pot and place the lid on, setting the steam release knob to the Sealing position. Press the Pressure Cook/Manual button or dial, then the +/- button or dial to select 7 minutes. The pot will take several minutes to build pressure. After the cook time has ended, let the pot sit undisturbed for 10 minutes (10 minute Natural Release), then turn the steam release knob to the Venting position to Quick Release the remaining steam/pressure. Then turn off the pot. 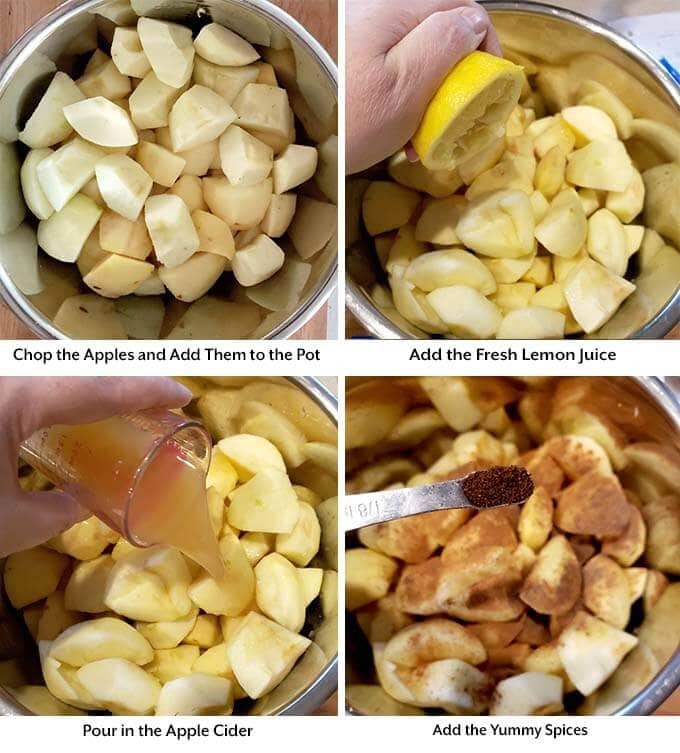 When the pin in the lid drops down, open it and use a potato masher to mash the apples. Press the Slow Cook button, then the Adjust button until you have selected "More" (your model may vary. What you want is the highest heat setting for the Slow Cook Function). Adjust the time using the +/- button or dial to select 5 hours. If your model gets as hot as an actual slow cooker, then use the Low heat. On Instant Pot brand use the "More." Put the glass lid, or a silicone lid on the pot, but leave it ajar quite a bit so the apples can cook off their extra water and turn into apple butter. Stir once or twice throughout the slow cooking. When the time is up, turn off the pot and use an immersion blender to blend the apple butter until it is smooth and glossy. If you don't have an immersion blender, let the mixture cool first, then use a regular blender. With 5 lbs of apples I get 2 pints (4 cups) plus a few spoonfuls for "taste testing". Calories are based on a serving size of 2 Tbsp. Store in a mason jar with a lid, or other air tight container, in the fridge. You can water bath can in mason jars. Leave 1/4" head space and process for about 20 minutes (check with a safe canning resource for information on the proper way to can apple butter). Once it has cooled, you can freeze apple butter in freezer bags, or in freezable canning jars (leave 1/2 inch headspace). Apple butter is delicious on toast, muffins, pancakes & waffles, elephant ears, yogurt, oatmeal, and is a wonderful add-in for baked goods. I am in the process of making this right. Is! I did not have time to go out and buy a new sealing ring. This morning, I soak my existing one in baking soda for a few hours, but it still smelled like every soup I’ve made! So, when you’re recipe called for the lemon juice, I rubbed the remaining lemon on the sealing ring/lid. Presto! No funky smell! Just FYI if you’re like me and can’t get a new one, which is totally ideal! Thank you so very much for posting this recipe! I can’t wait to try it!